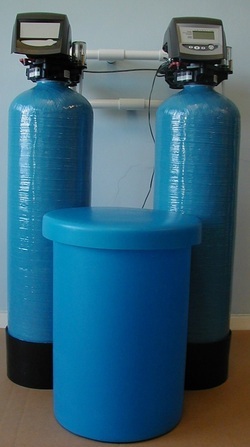 These Simplex water softeners use high quality vessels and superior softening resin. The units are controlled with a multiport valve on top of the vessel allowing automatic regeneration. Systems can regenerate after a given time (time) or quantity of water (metered). Systems range in size from 500 l/ per hour to 50,000 litres per hour. 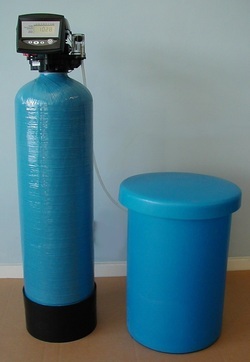 Duplex water softeners consist of two vessels filled with softening resin. In normal use one vessel is online (duty) while the other is off line (standby).